Dr. Stephen Hansen, Graduate School Dean Emeritus, established the Lindsay Research Professorship Endowment that funds the award in honor of Dr. Vaughnie Lindsay, who served as graduate dean from 1973 until 1986 and was responsible for creating much of the infrastructure that supports faculty research and scholarly activity. Faculty and the emeriti faculty at the time of the award's conception donated the funds to endow the award. Those wishing to help support new investigators through the Vaughnie Lindsay Award may make a donation to the Graduate School section of the endowment at: http://www.siue.edu/give/. 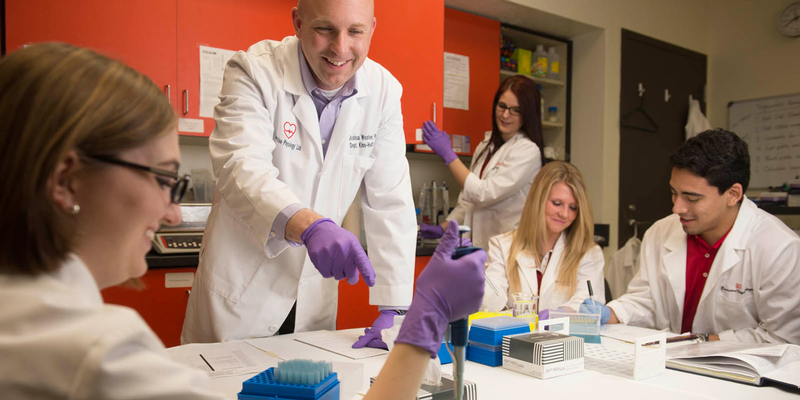 The New Investigator Awards are made to tenure-track SIUE faculty members to recognize and support individual programs of research or creative activities. These Awards recognize faculty members whose research or creative activities have the promise of making significant contributions to their fields of study, their respective school/department and to SIUE in general. Recipients are expected to produce published scholarly works/products and externally sponsored grants/contracts. Up to two Lindsay New Investigator Awards will be made per year, pending availability of funds. Awards will fund projects that will start on July 1 and end on June 30 of the fiscal year following awarding. These awards are designed to support a significant and discrete portion of a faculty member's larger research agenda. A cost-share equaling 20% of the total award is required from the applicant’s school/department. Each recipient of the New Investigator award will receive $10,000 from the Graduate School and $2,500 from their unit for a total of $12,500 for a one-year period. Summer salary funding is not included in this award. Information about allowable costs are contained in the Program Guidelines. Consult with the program coordinator regarding the eligibility of costs not explicitly mentioned in the program guidelines. Eligible applicants must have earned appropriate terminal degrees in their disciplines and have regular full-time tenure track faculty positions at the Assistant Professor level. Eligible junior faculty may apply any time after successful completion of their third year at SIUE and before promotion to Associate Professor. Recipients must be at the Assistant Professor level throughout the duration of their New Investigator award. Previous recipients of the New Investigator Award are not eligible to apply. Preference will be given to faculty who have received less than $250,000 in external awards while at SIUE. All applicants must have submitted completed final reports and fulfilled the terms and conditions, including submission of an external grant proposal, of projects previously funded by the SIUE Graduate School at least 5 business days before this program deadline in order to be eligible for this program. Application is due to the Office of Research and Projects by 4:30pm on the second Friday of November.